The Boot Out Breast Cancer Cycling Club was launched in 2016 to encourage people in to cycling and help to spread the word about the charity across the UK. The club has members from Scotland to the south coast who participate in all kinds of events from fundraising to racing, including young riders who compete in European races. The club has a distinctive club kit with limited edition Santini kit also still available. As a sister team to the club, Storey Racing was launched in 2017 and provides opportunities for women to race to the highest level. 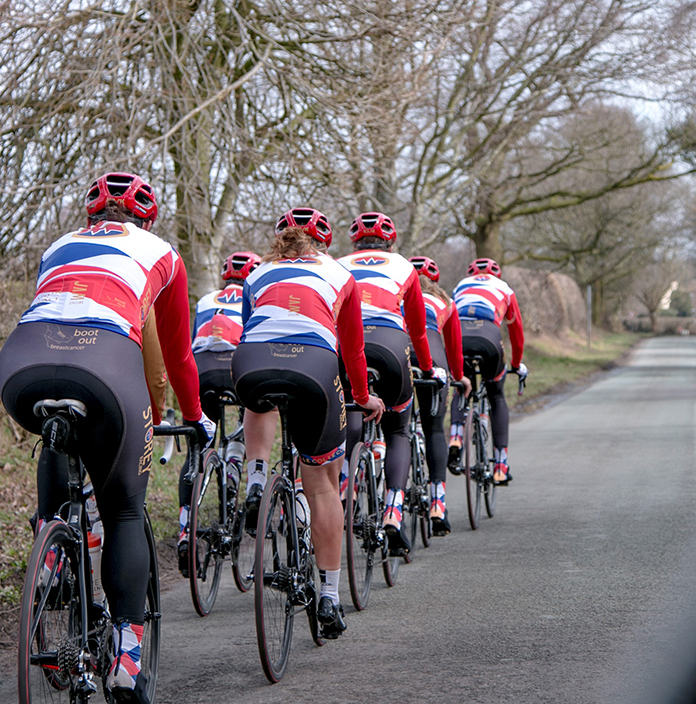 Storey Racing is also the home of our patron Dame Sarah Storey who leads the team in races when she is not competing for Great Britain. Also in the team is international trike racer, Hannah Dines who has been climbing the world rankings since joining the team last year. 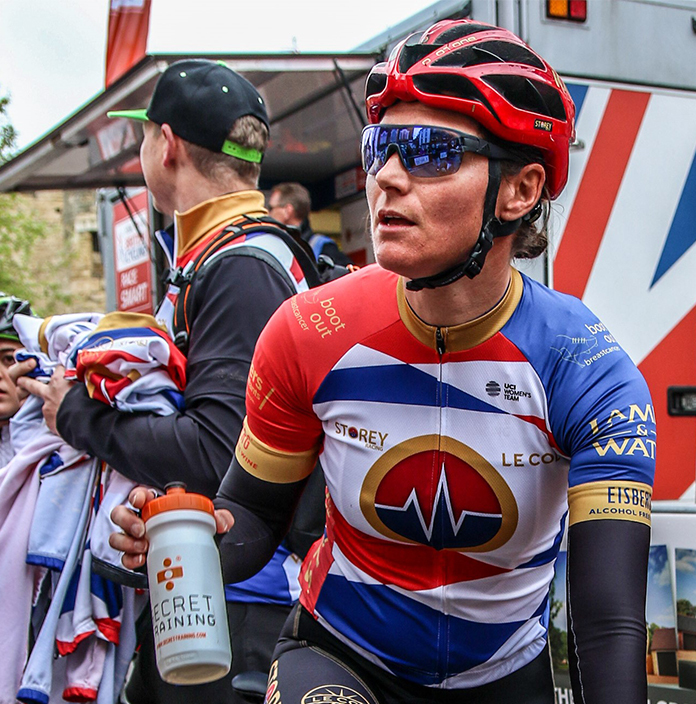 Storey Racing proudly display the Boot Out Breast Cancer logo on their jersey, shorts and team vehicles, representing the charity in events across Europe, including Tour de Yorkshire, The Women’s Tour and Ride London. With numerous race victories and podium successes throughout 2018, Storey Racing have ensured word of the charity is spread far and wide. Having won the team title at the National Women’s Road Series, Storey Racing riders have been prominent in the coverage of these events on Eurosport and securing second place in the team event at the Tour Series, ensured again that the Boot Out Breast Cancer logo was very visible on the television coverage on ITV4.